We all love Halloween. This is a great reason to throw a themed party. For the party you will need a frightening font. In this section you will find Gothic, shabby, scary and even font made of the bones. 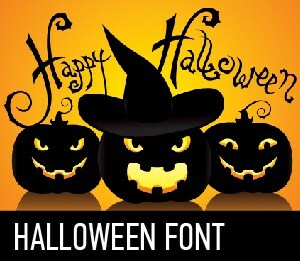 With Halloween fonts you can easily create your own Ouija board. Happy Halloween!